The Amos Alonzo Stagg Award is presented annually by the American Football Coaches Association (AFCA) to the "individual, group or institution whose services have been outstanding in the advancement of the best interests of football". Recipients receive a plaque which is a replica of the one given to Stagg at the 1939 AFCA Convention in tribute to his 50 years of service to football. The purpose of the award is "to perpetuate the example and influence of Amos Alonzo Stagg". Daniel Allen 'Dan' Carp is the former chairman and chief executive officer of the Eastman Kodak Company. Carp served as the chairman of the board of Delta Air Lines, replacing former chairman Gerald Grinstein. A native of Wytheville, Virginia, Carp currently lives in Naples, Florida. Sigma Phi Society (ΣΦ) was founded on the Fourth of March, on the campus of Union College as a part of the Union Triad in Schenectady, New York. It is the second Greek fraternal organization founded in the United States. The Sigma Phi Society was the first Greek organization to establish a chapter at another college, which occurred with the founding of the Beta of New York at Hamilton College in 1831, thus making it the first National Greek Organization. The practices and rituals of Sigma Phi are relatively unknown due to its establishment, and continued consideration, as a secret society. Also of note, the Alpha Chapter of Sigma Phi located at Union College has been in continuous operation since 1827 making it the oldest continuously running fraternity chapter in the United States. 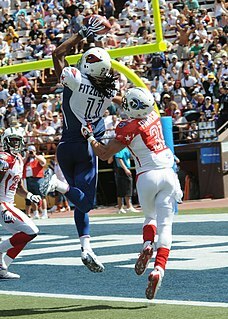 Alonzo Smith "Jake" Gaither was an American football coach. He served as the head football coach at Florida A&M University (FAMU) for 25 years, from 1945 to 1969, compiling a record of 204–36–4. His won–loss record is among the best of any college football coach. Dana Xenophon Bible was an American football player, coach of football, basketball, and baseball, and college athletics administrator. He served as the head football coach at Mississippi College (1913–1915), Louisiana State University (1916), Texas A&M University, the University of Nebraska (1929–1936), and the University of Texas (1937–1946), compiling a career college football record of 198–72–23. Bible was also the head basketball coach at Texas A&M from 1920 to 1927 and the head baseball coach there from 1920 to 1921. In addition, he was the athletic director at Nebraska from 1932 to 1936 and at Texas from 1937 to 1956. Bible was inducted into the College Football Hall of Fame as a coach in 1951. Each football season, the National Football Foundation and the College Football Hall of Fame pay tribute to a select few with awards of excellence for exhibiting superior qualities of scholarship, citizenship and leadership. The Foundation also recognizes individuals who demonstrate outstanding support for the NFF and its mission of promoting the game of amateur football. The NFF Gold Medal is the highest award offered by the NFF. The National Football Foundation Distinguished American Award is among the highest offered by the National Football Foundation (NFF). Every year, the NFF & College Football Hall of Fame pays tribute to a select few with awards of excellence for exhibiting superior qualities of scholarship, citizenship and leadership. Additionally, the Foundation also recognizes individuals who demonstrate outstanding support for the NFF and its mission of promoting the game of amateur football. The Distinguished American Award is presented on special occasions when a truly deserving individual emerges, the award honors someone who has applied the character building attributes learned from amateur sport in their business and personal life, exhibiting superior leadership qualities in education, amateur athletics, business and in the community. Thomas James Hamilton was an American football player, coach, college athletics administrator, and naval aviator who rose to the rank of rear admiral in the United States Navy. He served as the head football coach at the United States Naval Academy from 1934 to 1936 and again from 1946 to 1947 and at the University of Pittsburgh in 1951 and 1954, compiling a career college football record of 28–32–1. Hamilton was also the athletic director at the Naval Academy from 1948 to 1948 and at Pittsburgh from 1949 to 1959. From 1959 to 1971, he was the commissioner of the Athletic Association of Western Universities, renamed the Pacific-8 Conference in 1968 and now known as the Pac-12 Conference. Hamilton was inducted into the College Football Hall of Fame as a player in 1965. The 1889 College Football All-America team was the first College Football All-America Team. The team was selected by Caspar Whitney and published in This Week's Sports. Thomas Nelson "Nellie" Metcalf was an American football and basketball player, track athlete, coach of football and track, professor of physical education, and college athletics administrator. He served as the head football coach at Columbia University (1915–1917) as well as his alma mater, Oberlin College, compiling a career college football record of 33–13–4. From 1924 to 1933, Metcalf taught at Iowa State University in the physical education department and served as the school's athletic director. He then moved on to the University of Chicago, where he was the athletic director from 1933 to 1956. At Chicago, he replaced Amos Alonzo Stagg, who was forced into retirement at the age of 70 after 40 years of service as the school's athletic director and head football coach. Ching W. Tang is a Hong Kong-born American physical chemist. He was born in Yuen Long, Hong Kong in 1947. 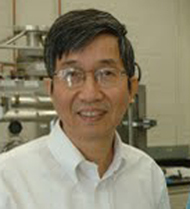 Tang currently is the Doris Johns Cherry Professor in the Chemical Engineering Department, University of Rochester. He also has joint appointments in the Department of Chemistry and the Department of Physics and Astronomy. Tang has joined HKUST Jockey Club Institute for Advanced Study of the Hong Kong University of Science and Technology as the IAS Bank of East Asia Professor since September 2013. ↑ "Gold Medal recipients". College Football Hall of Fame . National Football Foundation.